Model: dc15199_br_Width: 4 inches_br_Height: 2.6 inches_br_Color: _span style=""_standard - Black_/span__br_Mirrored: No_/b__/p__center__FONT FACE="Times New Roman"__font color="#3333FF"__h1_Sport Fishing Yacht Decal_/h1__/FONT__/center__HR WIDTH="75%" COLOR="#3333FF" SIZE="4"__/font_Its the extreme fishing boat of your dreams! Over 40' of pure luxury! With a Cockpit, a Helm Deck, a Main Cabin, and a Galley. You will never have to go home! 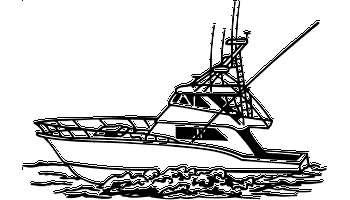 Spend the rest of your life trying to catch that lunker!_br_Our Nautical graphics will let you express your love for yachting with a style thats your very own. Our unique to create a decal option makes it easy to add your personal taste. 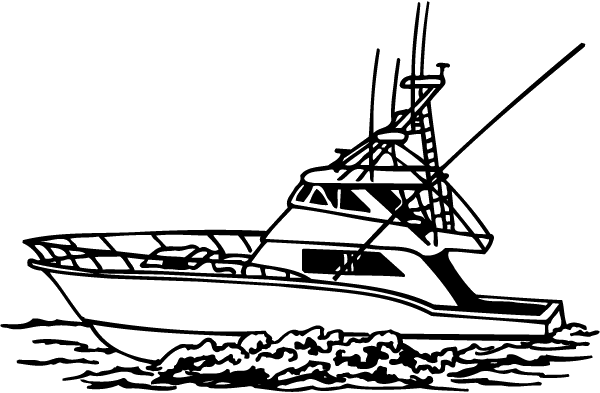 Add text for free to any fleetliner images, also design some custom transom and hailport lettering with our decal maker. _li_Long lasting, _i_ultra_/i_ performance vinyl_li_Installs in an hour or less_li_Sticker is fully waterproof!_li_Quantity discounts_li_Priority shipping with tracking info_br__center__b_ Once you decide on a graphic, remember that we do boat registration decals as well._/b__br_ Our experienced team will ensure your boat numbers meet the requirements of your home state. _br_Go to our watercraft lettering page and design some yourself _br__A HREF="http://www.decalcity.com/custom_decals3.php?decal_type=1_boat_registration.php&osCsid=abdb4d1c72109233de9697177237fa60"__font color="#FF0000"__h2_Boat Number_/h2__/font__/A__/center_ _HR WIDTH="50%" COLOR="#3333FF" SIZE="4"__big__i_Decalcity.com_/i__/big_ products are made from high quality, permanent adhesive, indoor/outdoor 5 year vinyl. Resistant to bubbling, fading or peeling due to prolonged exposure to weather and the suns ultraviolet rays. DecalCity decals and vinyl letters will stand up to any stream, river, lake or ocean you plan to vacation on! This nautical sticker can be applied to car windshields and fenders, side and rear windows, truck beds, hoods, tailgates, side and door panels._br__br_ _center__b__i__big_Any questions?_/big__/b__/i__br_ Call us toll free with the number at the bottom of this page. Background: NoneBlackBlueGoldGreenOrangePinkRedSilberWhiteYellow Background is for preview purposes and not part of the decal. Flip Decal: Order this decal facing the opposite direction. FREE! $9.99 Value! (Optional) Add Wording to your decal!